Sondra Myers is Senior Fellow for International, Civic and Cultural Projects and Director of the Schemel Forum at The University of Scranton, and is an author and frequent lecturer on the arts, humanities and civil society, focusing on two major themes: the integration of culture into public policy in the United States, and the strengthening of the culture of democracy worldwide. In 2008, she edited the handbook, The New Rwanda: Prosperity and the Public Good, which was published as a result of a meeting held in Rwanda in March 2008 with some of Rwanda's top educational leaders to discuss the role that universities play in building a culture of interdependence, civic responsibility and prosperity. In November 2008 Myers returned to Rwanda to launch a national conversation on prosperity and the public good. Myers co-edited (with Patrice Brodeur) The Pluralist Paradigm: Democracy and Religion in the 21st Century, published in 2006. She is co-editor of The Interdependence Handbook (2004), and editor of The Democracy Reader (2002) and the Democracy is a Discussion handbooks. From 2001 to 2005 she served as a senior associate at the University of Maryland's Democracy Collaborative, organizing and coordinating meetings of The Democracy Collaborative's International Roundtables in Washington and Berlin and editing reports on their proceedings. From 1999 to 2001, Myers directed the President's Millennium Seminars: The University for a New Democratic Era, a project of The George Washington University. She was the Rapoport Democracy Fellow at the Walt Whitman Center for the Culture and Politics of Democracy at Rutgers University, 2000-2001. From 1996 to 2000, Myers served as senior advisor to the president of Connecticut College. Since 1996, Myers has presented programs on democracy in Prague, Cracow, Budapest, Buenos Aires, Johannesburg, and in cities throughout the United States. In addition she has organized and moderated symposia on culture and public policy for academic institutions and cultural organizations including Lehigh University, the Anderson Ranch Arts Center, The New School for Social Research, and the Education Department of the John F. Kennedy Center for the Performing Arts. From 1993 to 1995, Myers served as special assistant to the chairman at the National Endowment for the Humanities. Prior to joining the NEH staff, she served from 1987 to 1993 as cultural advisor to Pennsylvania Governor Robert P. Casey. Myers is past chair of the Pennsylvania Humanities Council, past president of the Federation of State Humanities Councils, and founding president of Citizens for the Arts in Pennsylvania and the State Arts Advocacy League of America. She is former chair of ArtTable, Inc., Washington Chapter, a member of the Public Education Committee of the American Bar Association, and served on the Board of Directors of the Centre for Creative Communities in the United Kingdom. Myers served on the U.S. Commission of Fine Arts from 1980 to 1985. 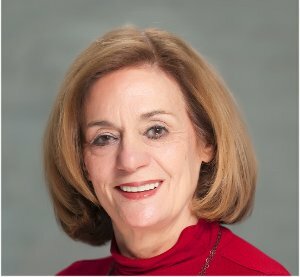 She has been a member and vice chair of the Board of Trustees at the University of Scranton (PA) and is a trustee of the University of the Arts in Philadelphia. She is the co-executive producer of The Courage to Care, a documentary film about rescuers of Jews during the Holocaust, nominated for an Academy Award in 1986. Consultations include Radio Free Europe, Connecticut College, the municipality of Scottsdale, AZ, the Association of Texas Colleges and Universities, the Smithsonian Institution's National Museum of American History, Anderson Ranch Arts Center in Aspen, CO, and the Dexter Avenue King Memorial Baptist Church in Montgomery, AL. Myers holds honorary degrees from Misericordia College and the University of Scranton. In 1994, she received the Connecticut College Medal, the highest honor given to alumni of the college. She is a member of Phi Beta Kappa.